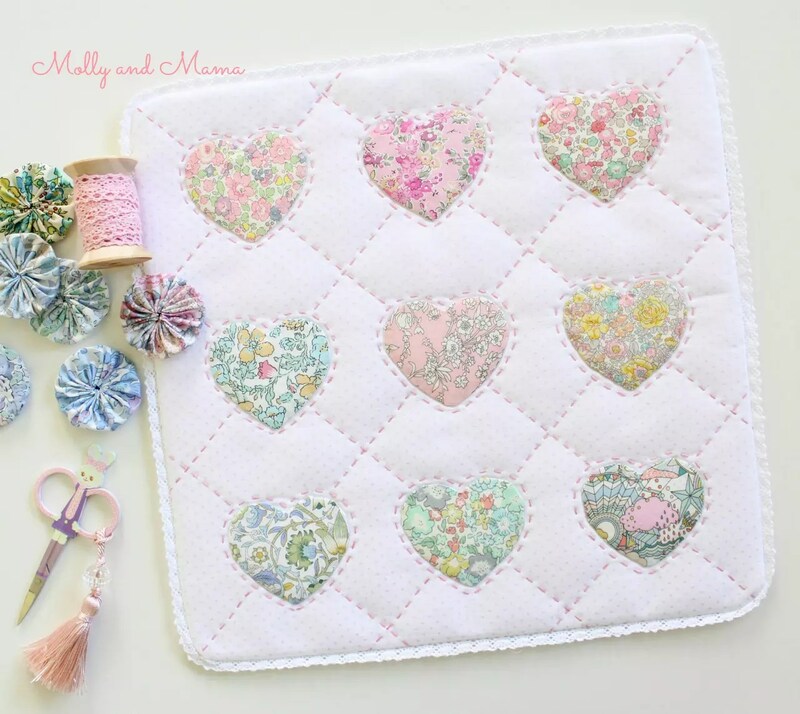 Instagram has become one of my favourite places to share my makes and meet new crafty friends. And I’ve realised that as a consequence, I’ve been neglecting the blog. I’m sorry! But instagram is also where I met the lovely Elise from Elise and Emelie. 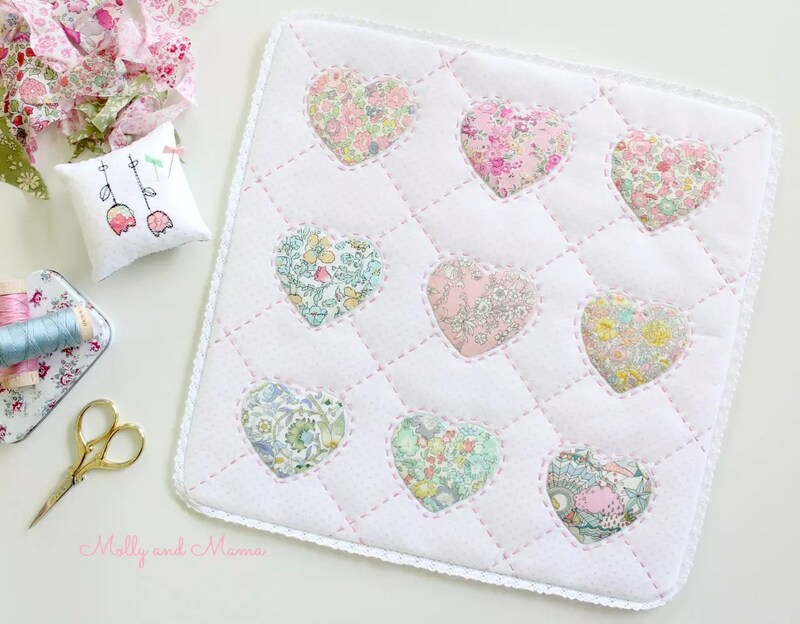 She’s a talented maker, and she recently designed a beautiful applique heart mini quilt that she calls ‘Hearts of Friendship’. 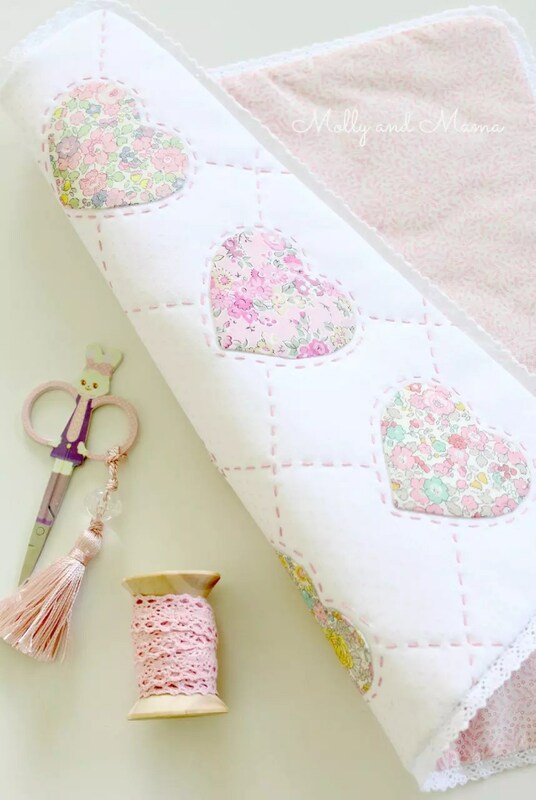 The traditional applique and hand-quilting really appealed to me so I joined her recent sew-along and made my own version. 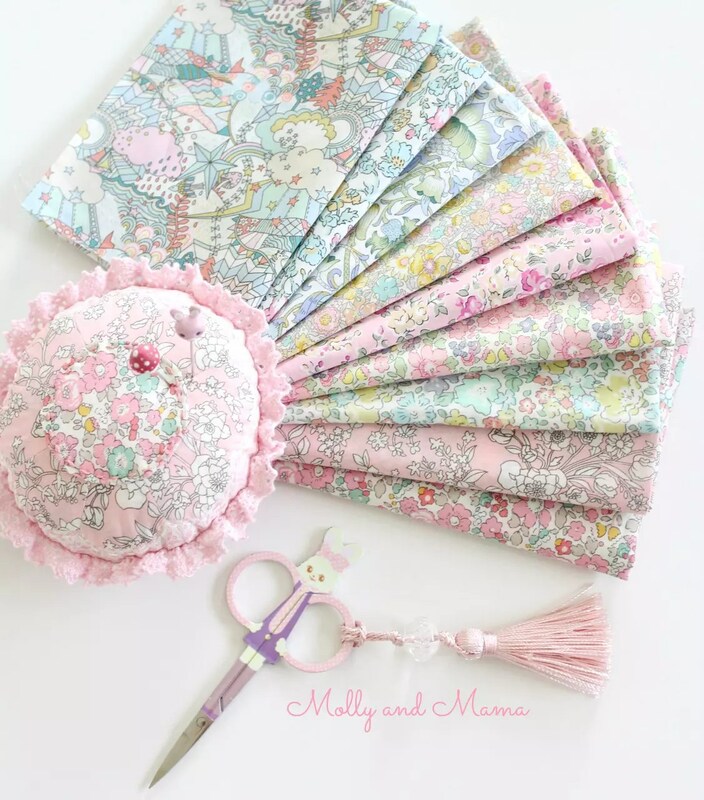 Martina from Ava & Neve had just sent me a gorgeous bundle of Liberty Tana Lawn fabrics as part of her monthly Liberty Society subscription. They made such a deliciously delicate bundle that I just knew they would be perfect for this project. 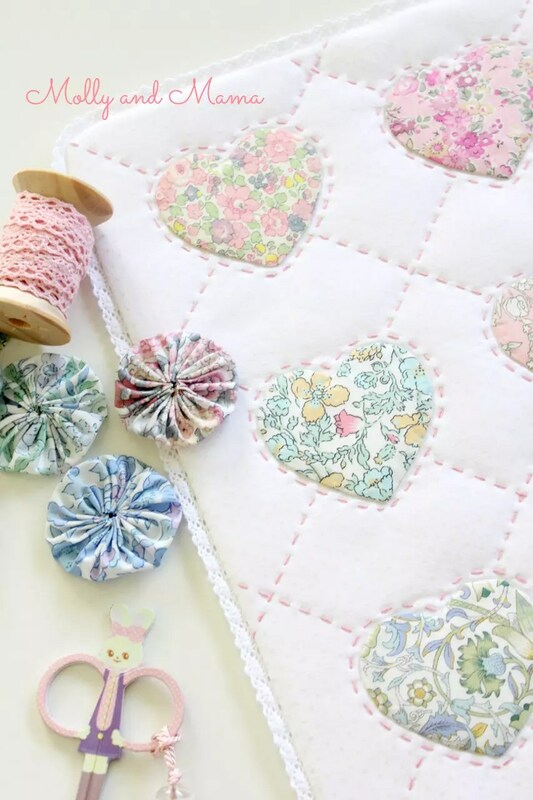 The first stage was to stitch nine heart shapes. And after making these beauties, I was hooked. After pressing the hearts onto the backing fabric to secure the fusible interfacing on the wrong side, I blind stitched the hearts in place. Fusible fleece was then secured to the wrong side of the backing fabric before I started my hand quilting. It’s funny, running stitch is the most basic of stitch types, yet it’s so effective here! All my hand quilting was sewn with Aurifil’s wonderful embroidery floss – Aurifloss (which comes on a timber thread reel). The pale pink really pops on the white background. (I got mine from Ava & Neve). A delicate and tiny Liberty floral was used for the backing. I absolutely loved using the lace trim to add that finishing touch to the mini. It made a nice change from having to make my own binding. I must confess that not only was this little project one that I really enjoyed, it was also one that I was really pleased with. It turned out just the way I wanted it too. Don’t you love when that happens? And everything about the colour palette was so me! I don’t think I’ll be able to part with this pretty piece. Elise’s pattern was very clearly laid out, with great step by step illustrations, and simple to follow instructions. The project is well designed, and something that you can make in less than a day! Pop over to Elise’s blog to see more. I promise I’ll be back here more frequently. I have a lovely book tour project to share with you soon, and also another pattern review for a sweet bunny doll. I can’t wait to show you! 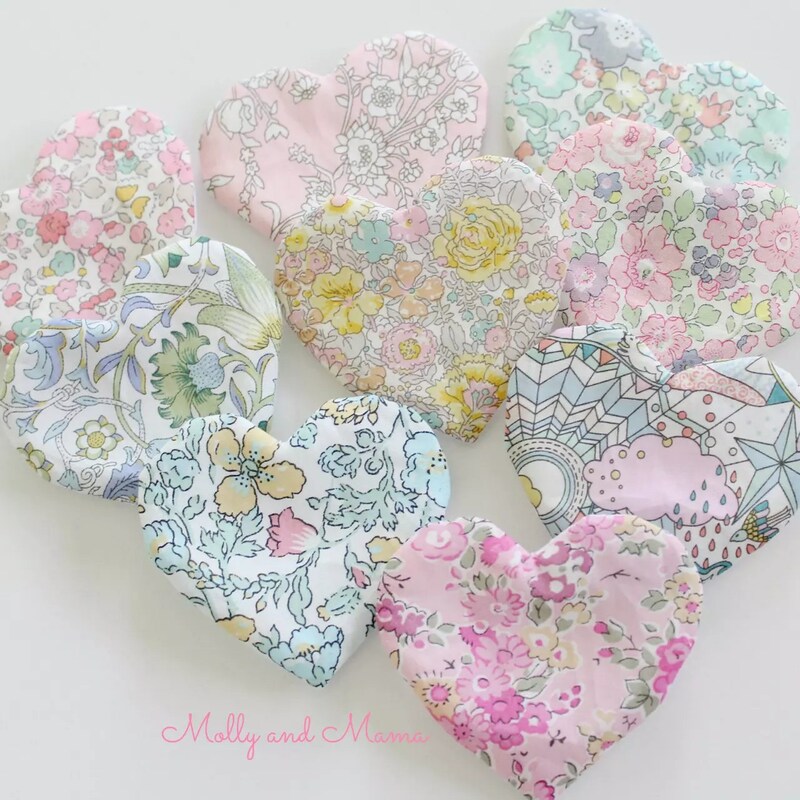 The Liberty fabrics are just so sweet and GORGEOUS, and the piece you made was just gorgeous. Thank you for your lovely comment Lynne. It was such a fun project to sew! It’s a great pattern Kay. Clear, easy to follow and fun to make! Such a beautiful and sweet project; I truly enjoy seeing your work (I follow you on Instagram). Best wishes always.